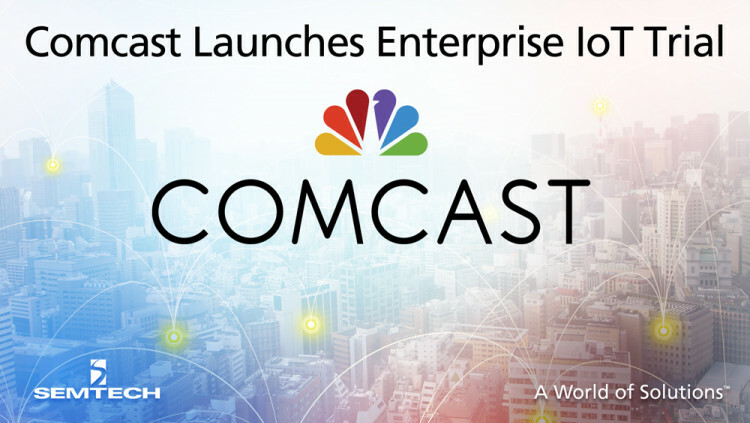 PHILADELPHIA – October 5, 2016 – Comcast today announced “machineQ™”, a new business trial venture focused on building business-to-business solutions and a platform for the Internet of Things (IoT). As a part of machineQ, Comcast will work with select commercial partners in proof of concepts to use it’s network to gather, transmit, and analyze data from connected devices distributed throughout their organizations. Comcast will use Semtech Corporation’s (NASD: SMTC) globally-proven LoRa® Wireless Radio Frequency Technology to deploy network trials in Philadelphia and San Francisco later this year. These trials will focus on enabling use cases such as utility metering, environmental monitoring (e.g., temperature, pollution, noise), and asset tracking through LoRa Technology-enabled devices and network services. Organizations and enterprises interested in participating in trials for LoRa-specific proof of concepts are encouraged to contact Comcast here.